Eating healthily and exercising are vital to avoiding the potentially fatal consequences. 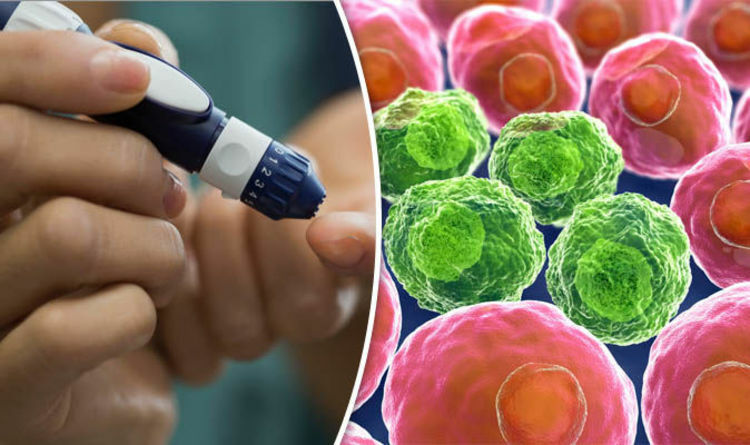 The stark warning comes from a team of British scientists who found people with a high body mass index (BMI) who also had diabetes were behind 5.6 per cent of new cancer cases globally, affecting 792,600 people in 2012. Dr Jonathan Pearson-Stuttard, lead author of the study at Imperial College London, said: “As the prevalence of these cancer risk factors increases, clinical and public health efforts should focus on identifying preventive and screening measures for populations and for individual patients. An estimated 549,000 people may have Type 2 diabetes without it being diagnosed. And many more millions are at risk of developing the condition. Yet Type 2, linked to high BMI, can be avoided by making lifestyle changes such as taking more exercise and eating a healthy diet. Health and obesity experts last night said it was now clear that exercising and eating well held the key to combating all three conditions. Tam Fry, from the National Obesity Forum, said: “You might dismiss the 5.6 per cent BMI and diabetic-generated cause of new cancers as insignificant – but you do so at your peril. The study, published in The Lancet Diabetes & Endocrinology journal, assessed the increase in new cases of 18 cancers based on the prevalence of diabetes and high BMI in 175 countries. They found most of the cancer attributable to diabetes and high BMI occurred in high-income western countries, accounting for 38.2 per cent of cases in 2012, affecting 303,000 people. The second largest proportion was in east and southeast Asian countries at 24.1 per cent, adding another 190,900 to the 792,600 global total. Using projections for 2025, the researchers estimate that the proportion of related cancers will rise by more than 30 per cent in women and 20 per cent in men on average.